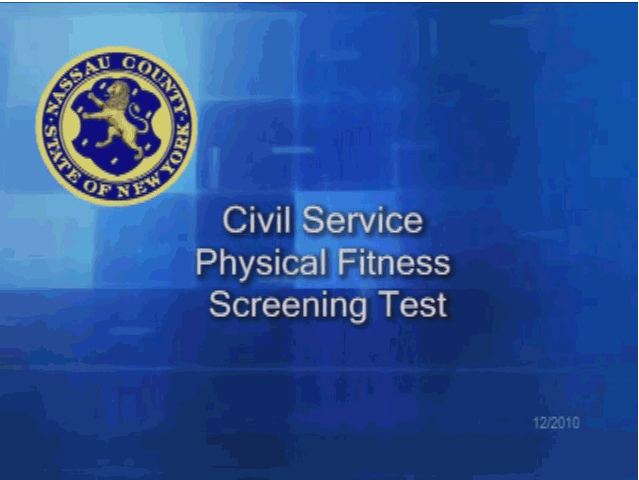 Candidates for the position of Police Officer are required to qualify by passing the Physical Fitness Screening Test which consists of push-ups, sit-ups and a one and a half (1.5) mile run. These three exercises are performed throughout the Police Academy Recruit Physical Training Program. The criteria for successful completion of the Physical Fitness Screening Test are listed below. You are to review and familiarize yourself with the Protocols and the qualifying criteria before your testing date. You must pass all three components to be successful. If you fail one component of the test, you will not be permitted to continue with the remainder of the test. Additionally, you must provide proof that you are medically cleared to participate in the Physical Fitness Screening Test. The objective is to perform the required number of push-ups correctly. This is a maximum effort test with no time limit. You will begin the test in the up position with your hands approximately shoulder width apart. Your back must be kept straight at all times. You may stop to rest in the up position only. If your knees or torso touch the floor, it will result in that repetition not being counted. Failure of your sternum to touch the testing block will result in that repetition not being counted. Failure of your elbows to fully extend will result in that repetition not being counted. The counter will inform you when you have obtained the required number of push-ups. IN SUMMARY: Keep your back straight - Touch the testing block - Fully extend your elbows - Rest in the up position only. The objective is to perform the required number of sit-ups correctly within a one-minute time limit. You will begin in a down position with your back on a bench. Your legs will be placed in a bent-leg position with your fingers interlocked behind your head. You may stop to rest in the up position only. Your elbows must pass your knees on each repetition. If you lie down on the bench, the test is terminated. Your failure to sit fully upright will result in that repetition not being counted. Failure of your fingers to remain interlocked behind your head will result in that repetition not being counted. Failure of your hips to remain down on the bench will result in that repetition not being counted. Failure of your shoulder blades to touch the bench in the down position will result in that repetition not being counted. IN SUMMARY: Keep your fingers interlocked behind your head - Sit fully upright - Keep your hips down - Touch the bench with your shoulder blades - Rest in the up position only. You will also be timed in a one and a half (1.5) mile run. You must complete the entire distance within the time that has been provided to you. This run may be conducted on either an indoor or outdoor track. You must pass all three components to be successful. If you fail one component of the test, you will not be permitted to continue with the remainder of the test. PUSH-UP - The score indicated is the number of full body repetitions that a candidate must complete without breaks. SIT-UP - The score indicated is the number of bent-leg sit-ups performed in one minute. MILE AND HALF RUN - The score is calculated in minutes:seconds. Running surface may vary. Either an indoor or outdoor track may be used.